Who we are is the essence of what makes us stand out from the crowd. It defines our approach and our outlook on life. It is shaped by our experiences and by our aspirations. It is our DNA as colleagues and business partners. 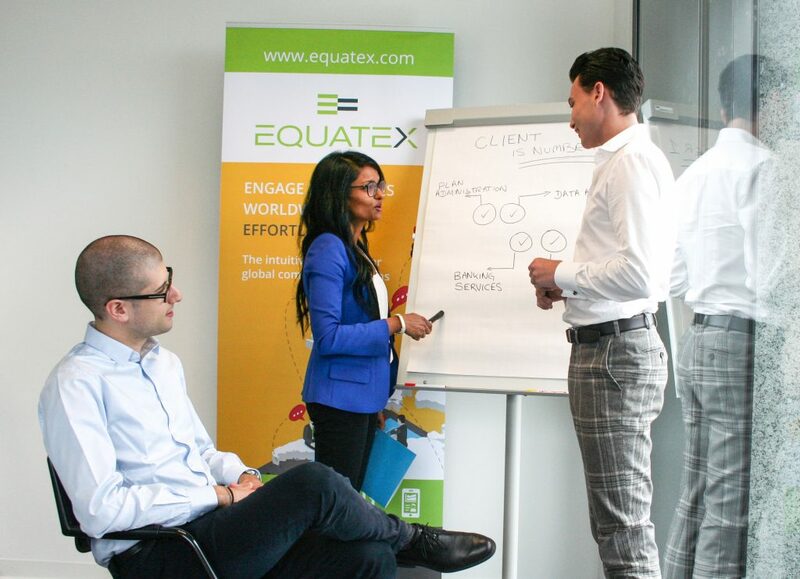 At Equatex you’ll be challenged to work hard and perform at a high level, but also be supported in reaching your full potential. You’ll find a workplace where trust and mutual understanding are highly valued, and you’ll see that we’re an employer that’s committed to doing the best for employees, clients, business partners, shareholders and our community. Our team brings together individuals from around the world. We are multilingual and we value different cultures. We make ourselves available across every time zone, day and night. 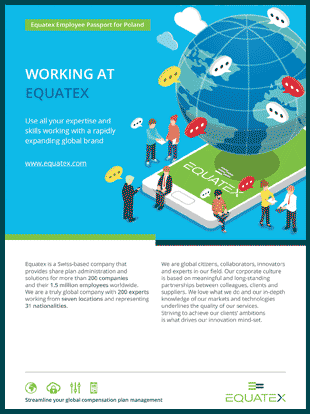 At Equatex we are global citizens, collaborators, experts and innovators. Our culture is based on an ethos of partnership. We collaborate with colleagues, clients and suppliers openly to build more meaningful relationships. Our in-depth knowledge of our markets and technologies underlines the quality of our services. We love what we do and continuously develop our skills and expertise. Our focus on customer needs, drives our innovation mind-set. We experiment, and develop new ways to enable our customers to solve problems or achieve their ambitions. We employ a wide range of roles including client relationship managers, developers, linguists, product specialists and business analysts, finance experts, communications professionals and many more. We are a constantly growing company, which offers various and challenging career opportunities to talented employees. Are you interested to become our next great hire? Browse the vacancies below or submit your CV and a covering letter.